Our patent pending FLEX system allows our benches to grow along with your child. Benches are useful for allowing more children to sit around the table. 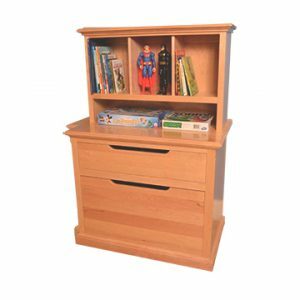 Our high-quality children’s furniture will last a long time providing you years of satisfaction and the ability to be passed down to future generations. 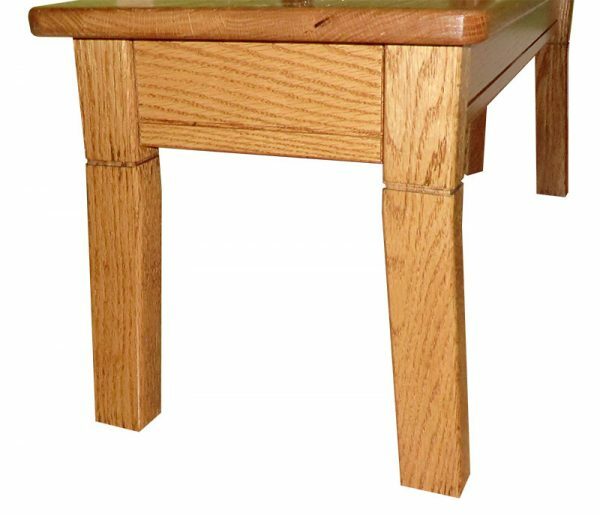 FLEX leg extensions blend in with the bench design and are easily attached and removed. All extensions store neatly in a hidden compartment under the bench. Ships in 12 – 14 days. Our Kid’s Flex bench is designed to go with the Farmhouse rectangular tables. Bench is 12” wide and 34” long. They start out at a height of 12” and grow to 14 ½” tall. The bench easily tuck under the table for convenient storage. 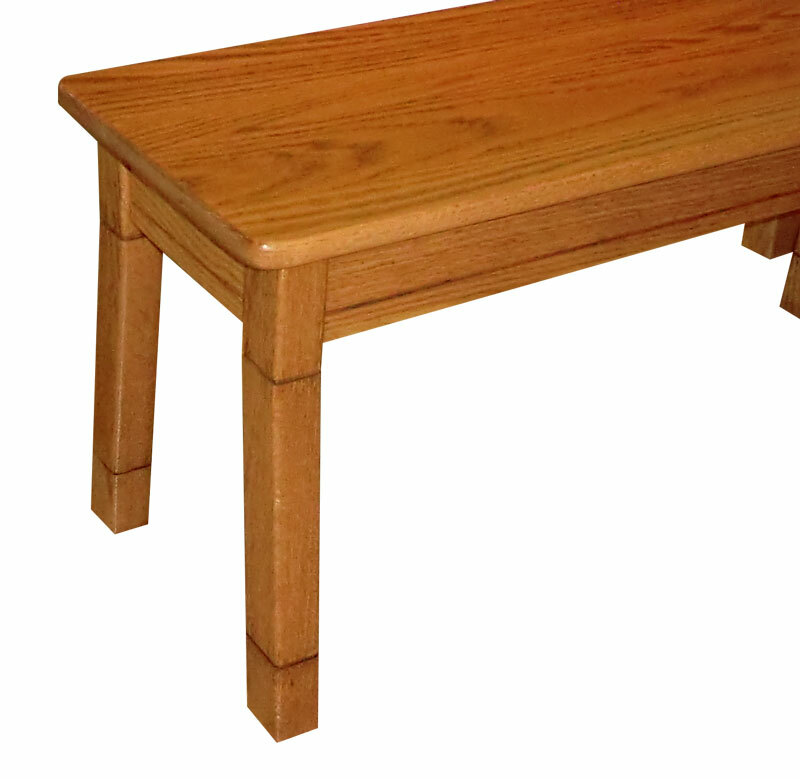 The table/ bench arrangement would work well for families with younger children approximately 3 through 8 years of age. (You can fit more kids around it!) We splay the legs out slightly on the bench to give them added stability. As your child grows taller and you put the taller legs on the table, you can purchase our size appropriate chair to go along with it. We make our Kid’s Bench by hand, just for you, in our shop. We do not sell mass produced items or outsource our work to others. Every furniture piece we sell is hand crafted with pride and built in the U.S.A. from American hardwoods. This gives our furniture great strength, beauty and durability. 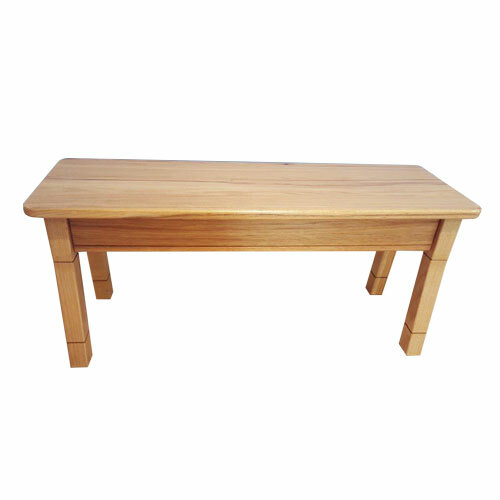 We offer our bench in Alder, Cherry, Hickory, Maple, Red Oak and White Oak as well as painted finishes. If you choose the paint option, your bench will be painted while the seat of the bench will be made from either clear finished Maple or Red Oak. This will give the bench seat more durability than a painted finish alone would. Leg extensions are stored neatly and securely underneath the bench in their own enclosed storage compartment. This means no lost parts – everything is contained in one area. Simple and straightforward. Our versatile table and bench or chair gives kids a place to do activities, hobbies or just an extra place for children to set during big family dinners! 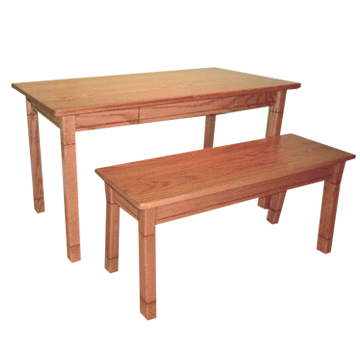 You will find many ways you can use our useful table and bench set. The heirloom quality will assure you generations of use. 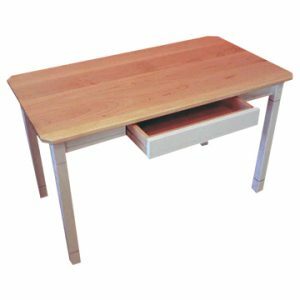 In addition to creating a great space for your children to work, your table and bench can be used in other places in the home. You could use the bench as a decorating item in your home by your entry door. The table might be just right at its lowest height for a coffee table. At its highest height, it could also serve as a buffet table for big dinners where you need additional storage. 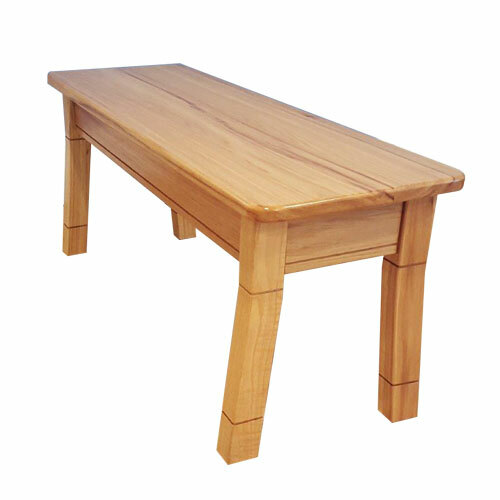 We are certain you will find many uses for this table and bench because we make our furniture so that it can serve several purposes. This gives you more value for your money. 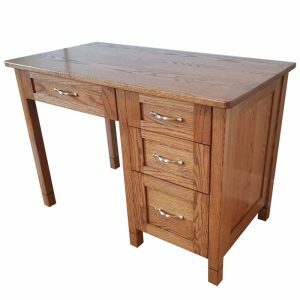 Hand crafted, solid wood furniture made here in America is so durable you can keep it for your grandchildren who will get the same hours of enjoyment from it as your children do now.